Here's the Carzone.ie guide to buying a used Toyota Auris Hybrid. Toyota replaced the popular Corolla hatchback with the Auris in 2007 and two years later revealed its plans to offer a hybrid version in the guise of the ‘Auris HSD Full Hybrid Concept’. 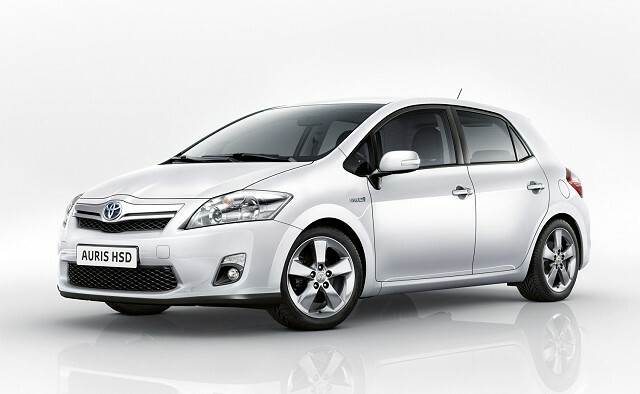 A production version of this show car arrived in 2010, using the mechanicals of the Toyota Prius wrapped up in the more conventional five-door hatchback body style of the Auris, but marked out from the petrol and diesel versions with subtle exterior and interior detailing. It was manufactured over in the UK, making it the first mass-produced hybrid vehicle made in Europe. The Auris Hybrid is brilliant in and around town, where it operates surprisingly frequently on electric power alone. It’s far less impressive out on the open road or on the motorway, though, so don’t expect it to replace a diesel alternative on long journeys in terms of performance, refinement or economy. There were a few different trim levels of the Auris Hybrid, but a glance through the classifieds shows that there are as many UK imports as there are Irish cars and all are very well equipped, so take a close look at any prospective car to see what’s included. Stay away from the larger alloy wheels if you are more interested in comfort than style, but really, there’s not a lot to choose from. The interior of the Auris Hybrid is differentiated from its petrol and diesel brethren by an odd-looking gear selector, but it’s a cinch to drive as it’s fully automatic. Choose the newest version you can find with a good service history and you can’t go far wrong. They’re ultra-reliable cars. As car buyers research whether they should be changing away from diesel, more will look to the second-hand market for electric and hybrid alternatives. The Auris Hybrid is an excellent choice for someone that doesn’t regularly travel at speed on the motorway. It’s very reliable, well-equipped, easy to drive and a great way to travel within urban confines.